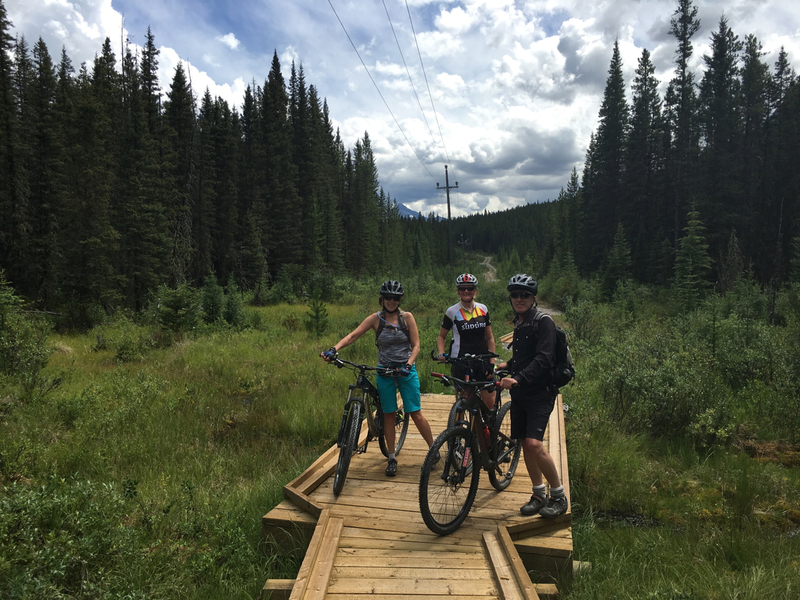 After getting Nancy and Liz onto a plane headed for AUS, our Calgary friends have begun to call and ask us out for local adventures. Today was a beautiful day for our first foray onto the High Rockies Trail. We bumped our way over the first 14km of the trail to the Driftwood day use area in the wonderful company of Sue and Rick. It is not a technical ride but quite 'sporty' (great term Sue!) due to the newness of the trail. Having not been on my mountain bike for over 18 months, my skills were somewhat rusty and a couple of minor spills were all part of the fun. 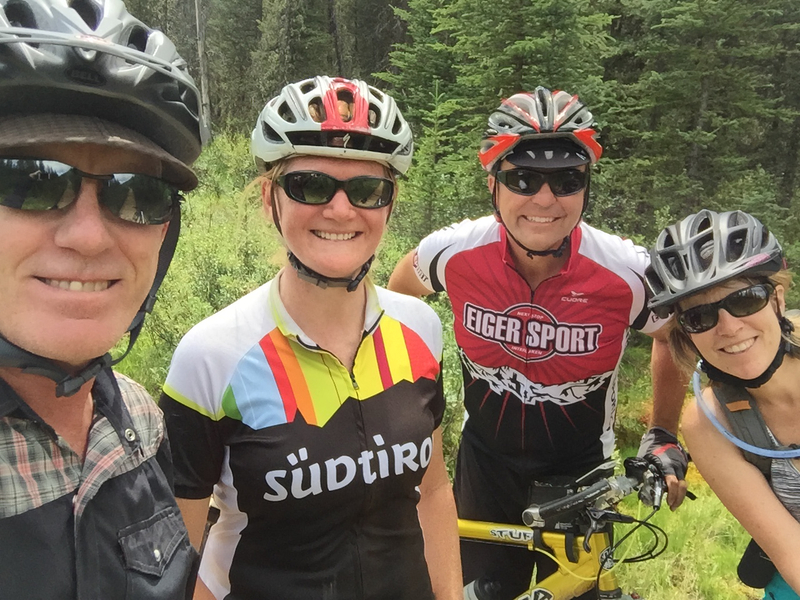 On the way home, we ran into 'Skier Bob' and now are famously on his blog. 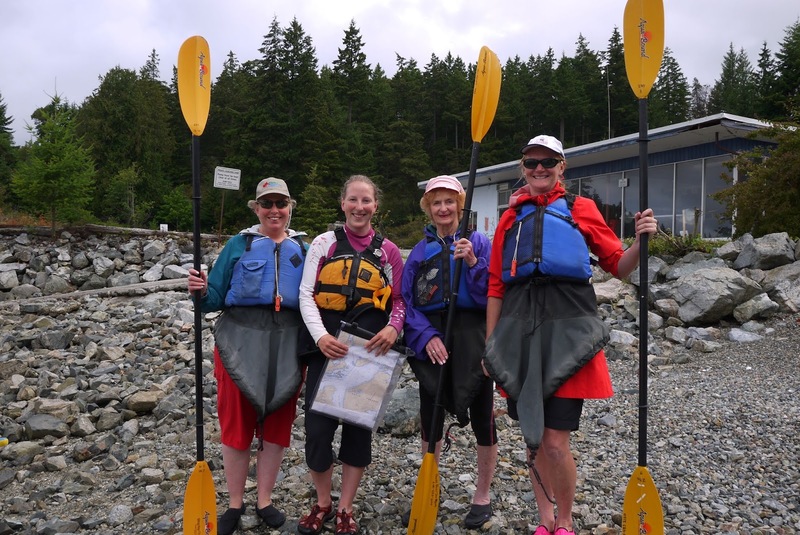 When Mum comes to visit, we like to take her on adventures and experience activities she has not partaken in before. Little (or no) consideration is usually given to her advanced age and she is game for anything we suggest. That, or she is simply too terrified to protest! 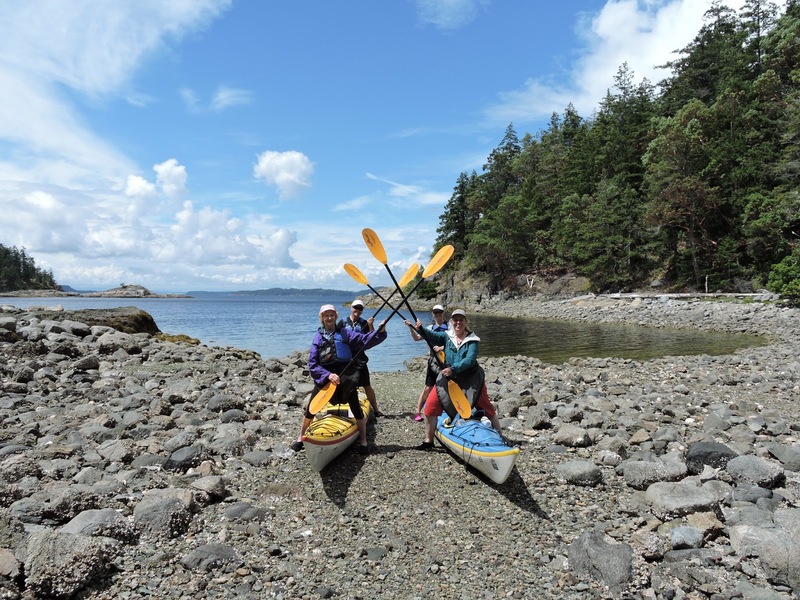 It was decided that the activity for this trip is sea kayaking around the Copeland Islands Marine Provincial Park. It is know as the Ragged Islands and consist of four islands and 14 islets. They lie just north of Lund on the Malaspina Peninsula of the Sunshine Coast. 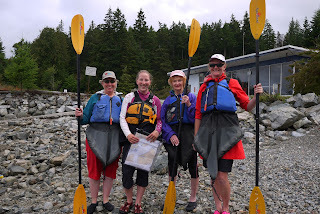 We booked a 7-hour tour with Powell River Sea-Kayaking, operating out of Lund. Erica was our guide and lead us north long the shoreline and across the Thulin Passage to the islands.